Margarite is about 4 years old and came into CPL care with housemate Hugo (not yet advertised) when their owner moved house and needed to reduce the number of cats they owned. 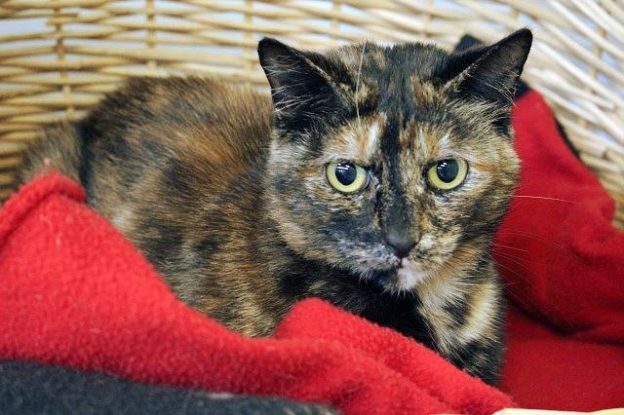 Margarite is sweet and affectionate with none of the naughtiness often associated with tortoiseshell cats! She likes attention and is enjoying meeting visitors here at the cattery. Having lived with other cats previously she may be happy to do so again.